LeonJones at her market booth. Photo courtesy: Bright And Sunny Ginger Beer. Have you tried Ginger Beer? If not, you’re in for a treat. And if you really want something special, try locally made Bright and Sunny Ginger Beer. Miranda LeonJones at her Bellingham Farmer’s Market booth. Photo courtesy: Bright And Sunny Ginger Beer. After quitting her job to move to Whatcom County from the Seattle area, LeonJones found herself with a lot of time on her hands. So she decided to play around with fermentation. 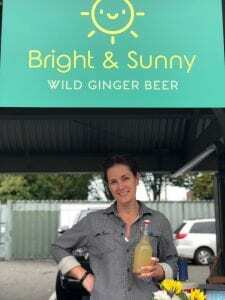 A pure passion for ginger beer and a love of the book Wild Fermentation by Sandor Ellix Katz gave her the knowledge she needed to create her first ginger brew. Unlike most ginger beers on the market, Bright and Sunny uses a natural fermentation process utilizing lacto-fermentation, which actually creates beneficial live cultures in the drink. These promote a healthy gut biome in your body, balancing digestion and enhancing your immune system. A healthy and warm “Not Toddy” for sale at Bright and Sunny’s booth. Photo courtesy: Bright And Sunny Ginger Beer. LeonJones uses a complicated process with four equations that measure the specific gravity meter and density of the water, giving her the alcohol content of her brews. “If it’s too sugary it tastes like [a commercial] off-the-shelf ginger beer,” says LeonJones. But if there’s too little or it’s too warm, it leads to more alcohol. It’s a balancing game when using different types of fruit weekly. 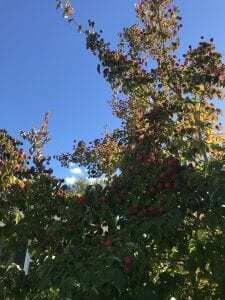 The dogwood tree from LeonJones’ front yard loaded with fruit. Photo courtesy: Bright And Sunny Ginger Beer. 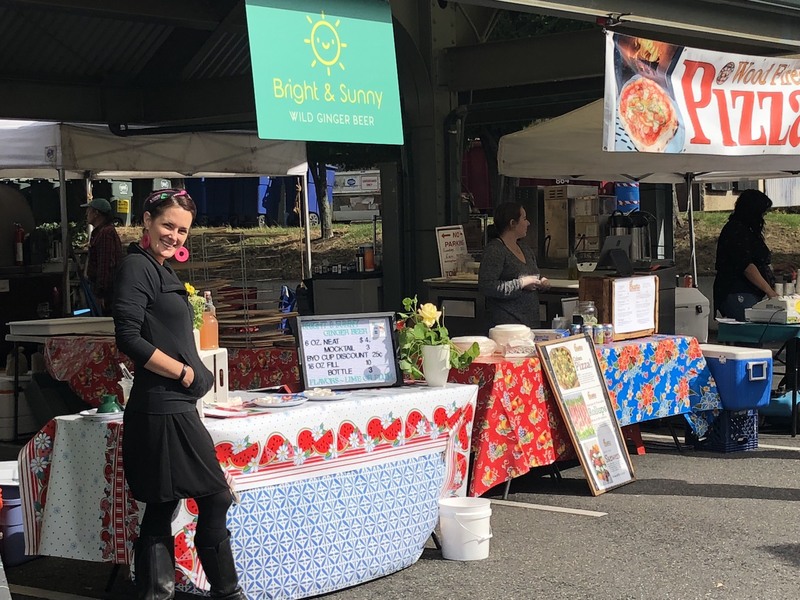 Stop by the Bellingham Farmers Market to sample her products; she’ll be there through December. Every week she brings her original ginger beer; the perfect gingery, citrusy, fizzy drink with a hint of lime to brighten it up. 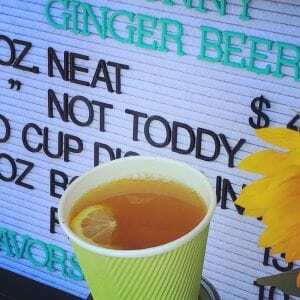 The not toddy is a satisfying, warm, healthy, hot brew made from ginger beer, apple cider, honey, cinnamon, turmeric and black pepper. Her third product is rotational and changes weekly. Although her business is new, it’s already getting a lot of attention, for good reason. Come for a taster at the Bellingham Farmers Market, you can buy it by the cup or the bottle and they give discounts if you bring your own.